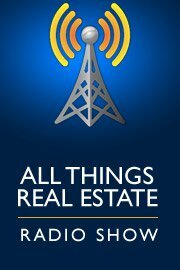 The nation's foremost live, listener-interactive real estate radio show, offering the best and most timely real estate news, commentary and information available to every buyer, seller and home owner. Taos Tap Room located in downtown Taos. 505.989.8900 or send Rey an email. This material is based on information which we consider reliable, but because it has been supplied by third parties, we cannot represent that it is accurate or complete, and it should not be relied upon as such. This offering is subject to errors, omissions, change of price or withdrawal without notice. EQUAL HOUSING OPPORTUNITY. Sotheby's International Realty and the Sotheby's International Realty logo are registered (or unregistered) service marks used with permission. Operated by Sotheby's International Realty, Inc. Real estate agents affiliated with Sotheby's International Realty, Inc. are independent contractor sales associates and are not employees of Sotheby's International Realty, Inc.